Travel trailer insurance will cost you on average between $250.00 and $500.00 per year depending on the company select and the options you include. One of the things people often are unaware of when they first purchase their new travel trailer is the need for good insurance. You typically only think about putting insurance on a vehicle, but the new price tag for a travel trailer can be quite expensive. It’s definitely something you want to insure in the case of a traffic accident or some other accidental damage. Do You Have to Have Insurance on a Travel Trailer? According to dmv.org, often times your car insurance will also cover your travel trailer, however this is only liability coverage. This means that in the event of on accident, any damage you cause to another individuals property or any bodily harm you incurred will be covered. It will not cover the damage to your trailer. It may be an undesired expense, but not having insurance for your trailer is simply a risk that you probably should not take. 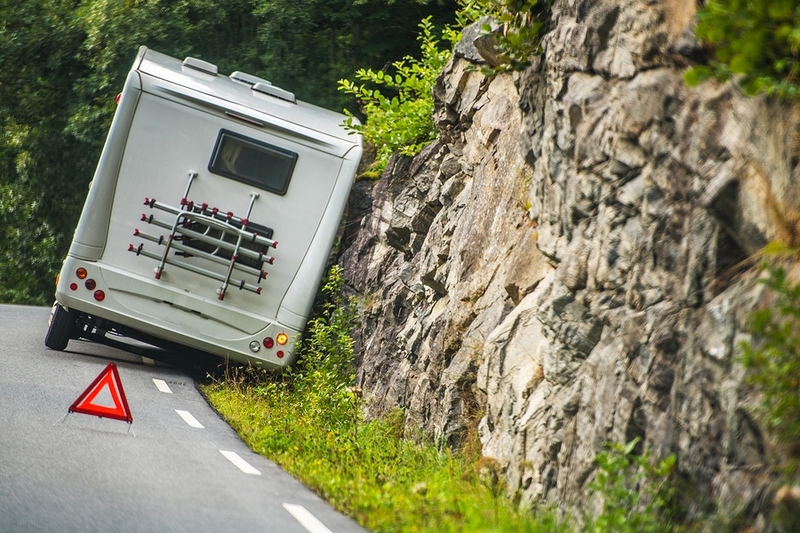 What Should Be Included In Your Travel Trailer Insurance? Comprehensive – Basically covers damage that did not happen due to a collision. Instead it typically covers storm damage, theft and vandalism. 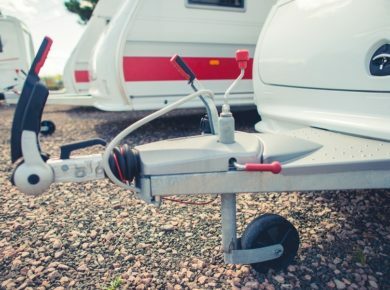 Liability – Damages to people or other people property due to your trailer. Contents Coverage – Anything that is within the trailer will be covered. Collision – This will cover your trailer in the event it is damaged in an accident. Roadside Assistance – I highly recommend you include this. When talking to your insurance agent, take the time to understand what is and what is not being covered by your plan. Preparing for the unexpected can be a life saver. I had a personal encounter with this lesson a few years back. Thankfully, I had purchased the insurance that was applicable to my situation. My car was totaled when I was rear-ended, and normally insurance would have only covered a portion of the purchased value of my car. However, at the time, I had paid for the additional gap coverage that made up the difference, and wound up with a new car that was actually better than my old one. Had I tried to save a few dollars; I would have been in a bit of financial trouble. Purchasing insurance can be tricky sometimes because you don’t always know everything that you need. It’s important to slow down, and do your research. I used to pay a lot more than I needed…and I’ve also paid to little. As with everything, you’ll need to figure out the correct balance. Typically speaking, most people overpay because they don’t do the proper research. When the insurance agent asks them if they want a particular option, they feel worried and can’t say no. In the end, they are paying for these options that are costing them hundreds of dollars per year. Typically an online quote will be much cheaper than a quote through an agent on the phone. This is because you can take your time to decide on the options and won’t select things you don’t need. Old Trailer? Collision and Comprehensive might not be worth it. Consider skimping out on the collision and comprehensive insurance if you have an older or inexpensive trailer. The average person will file an insurance claim roughly once every 18 years. Let’s say that you are paying an extra $15 per month (Probably going to be higher). Each year, you’ll be spending an extra $180. Now, insurance companies have given the official reports that the average comprehensive claim is for $1,621. That means that in 9 years you will be paying more than what you are expected to save from the one incident. According to released accident statistics, you are expected to have one incident in the 18 years. If you aren’t driving your trailer full-time the chance of the accident affecting the trailer goes way down. However, based on those probabilities, that $180 annual payment with a single expected incident means that in 18 years, you are expected to pay roughly 200% more than the expected cost to pay to repair the damage yourself. Unless you are an uncommonly bad or unlucky driver, those odds are not going to be worth it. Of course, the $15 a month is just an example. The cost will probably be more expensive. The numbers will vary from vehicle to vehicle. The point is to make the calculation and decide if the protection against the possibilities is worth the definite cost of the monthly plan. There is stability in investing against the unknown, but there is another stability in making life investments based on averages. As a general rule, the more items that you have to insure, the cheaper the insurance cost will be for each individual item. You become more valuable to an insurance company as you insure more things, and this can give you some serious negotiating power. When you are talking to an agent, make sure that you point out all of the items that you could insure with them. I can say with a lot of confidence that it will change your final price. As with any larger insurance company, locally owned companies can be more expensive or less expensive. The overhead of smaller companies can be significantly cheaper, but they can also have a more difficult time paying for larger repairs. The situation differs from place to place, so check out some Google reviews before you commit to a lower price. This also applies to larger companies. If a company tries to squirm out of the claims then what good is the insurance? Keep in mind that most insurance companies have bad reviews because happy customers are not nearly as likely to submit a review as someone that feels cheated out of a payout. Baring the states of California, Hawaii, and Massachusetts, insurance companies are likely to spike your insurance if you have an unhealthy credit score. Why? Studies show that there is a connection between the likelihood of filing a claim and bad credit scores. It makes sense for them to adjust your rate accordingly. If you have multiple potential people to purchase the insurance, you might want to apply for rates for both people. There are a lot of companies, especially the larger ones, that work out deals with insurance companies to negotiate lower rates for their employees. Try talking to you human resource department to see if they have worked out any deals. This is actually a useful tip for many possible purchases that have nothing to do with insurance (Gym memberships, reduced bank account fees, etc.). When negotiating your monthly payment, ask about willingly taking a higher deductible. When you are willing to pay for a larger sum in the case of an accident, your potential cost to the insurance company goes down. This can have a major effect on changing your personal potential financial risk to the company. Thus, your monthly payments be a bit cheaper. Regardless of the current offer, check out what the competitors are offering. You might be surprised, but the price difference between two companies can be as much as double. When talking to your insurance agent, ask about water damage. One common issue with RV’s is that they are almost always prone to leaks and warping from those leaks. With the right fine print the insurance company can essentially not cover anything, so just be aware of what it says. What Insurance Will I Use? Being a military Veteran, I will go with Navy Federal. I value the simplicity of keeping my car loan, bank account, and insurance in the same location. It just keeps things simple for me. I would also recommend checking with your current car insurance provider. Often times, they will try offer you the best quote since it is better to retain a customer, increase the dependency, and build loyalty than it is to get a new one. That said, it may also be helpful to get a quote from another provider to see if they will match it. When shopping for insurance for your trailer, make sure that you don’t go with your first quote. A little research may just save you hundreds of dollars per year. Also, don’t forget to take advantage of discounts that you may qualify for such as being a veteran, a student, a teacher, or involved in government work.